This gull is another mixed bag of characters. Once again, I had difficulty getting photos of this bird with other individuals of more obvious identity. Unfortunately, I was also unable to get a straight profile shot. That said, my impression was that the size of this bird seemed consistent with what I consider normal for Thayer’s Gulls. It seemed pretty small to me for a Glaucous-winged Gull. Despite the apparently small size, I probably would have figured it was a Glaucous-winged Gull due to the gray wing-tips, since, as a relative new-comer to the challenges of gull identification, I tend to privilege that easy-to-see field-mark over others (though perhaps I shouldn’t). 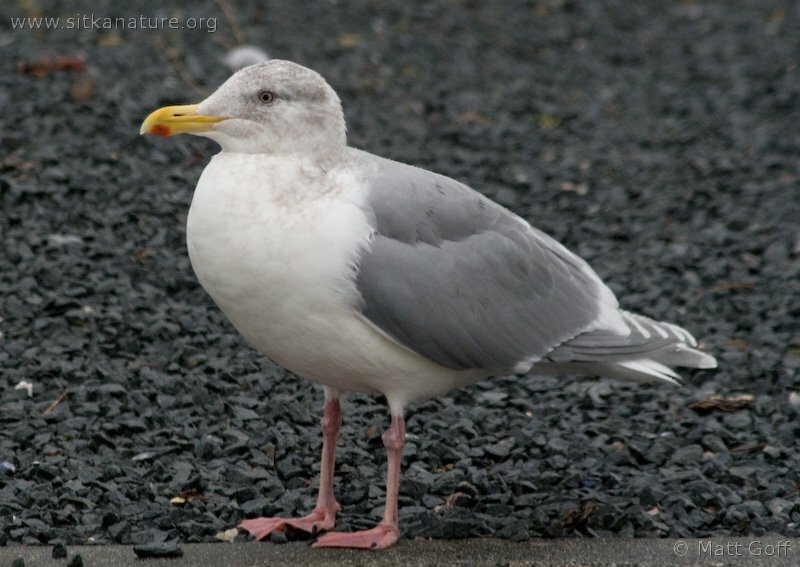 However, I’ve never seen an otherwise obvious Glaucous-winged Gull with pale eyes. After looking in Gulls of the Americas, I see that up to 1% of Glaucous-winged Gulls can have paler eyes, but the example given there has eyes that are nowhere near as pale this gull’s. I thought Kumlien’s Gull might be a possibility, but they seem quite a bit paler overall, from what I can tell. 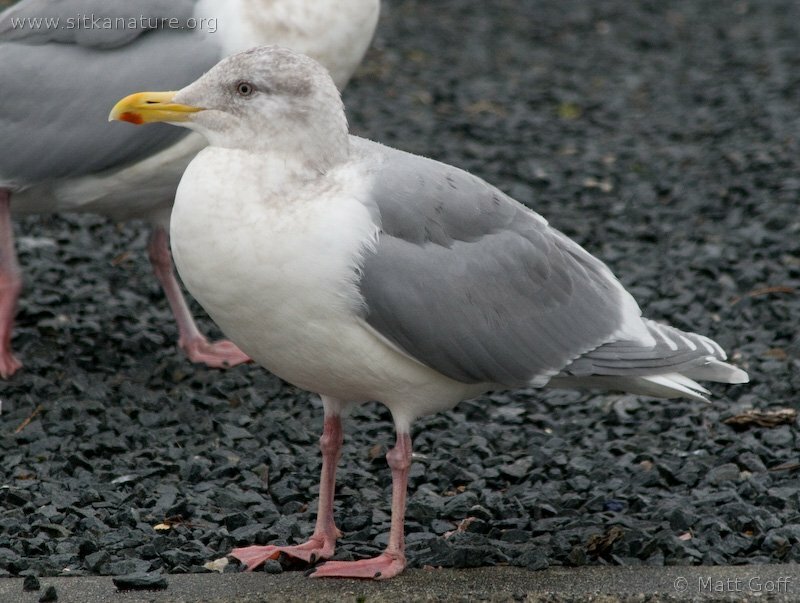 I saw a similar gull last year (look at the last gull in the entry) and thought it was probably a Glaucous-winged Gull, but now I’m even less sure. Still, I can’t think of any reasonable hybrid combination that might result in this particular blend of characters. Any help with this identification is certainly appreciated. 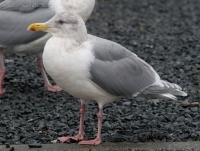 This entry was posted in birds, identification and tagged Gulls, identification, Larus. Bookmark the permalink.